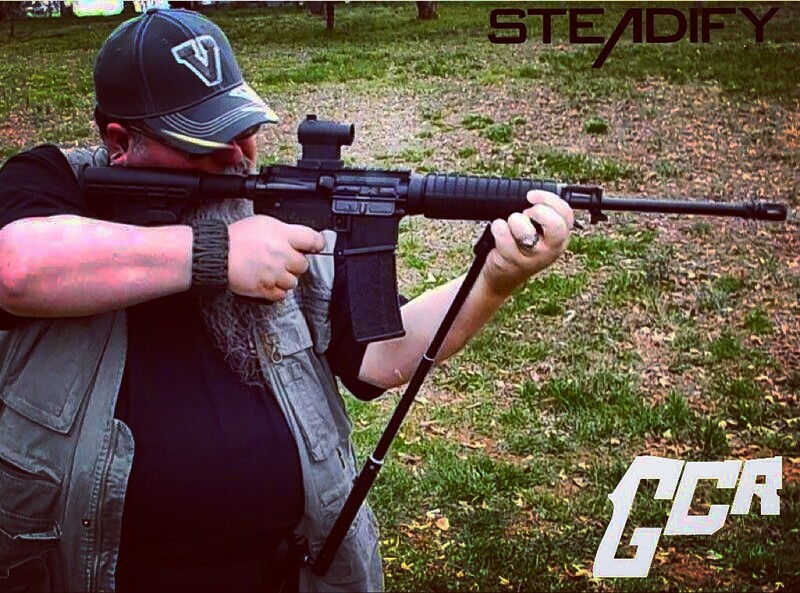 Steadify is a product I discovered at ShotShow 2015; I’ve been excitedly waiting for it to hit the streets since that moment. The idea was so simple but so good I just had to try it out for myself as soon as possible. There are plenty of examples of portable rests of all sorts used in hunting. 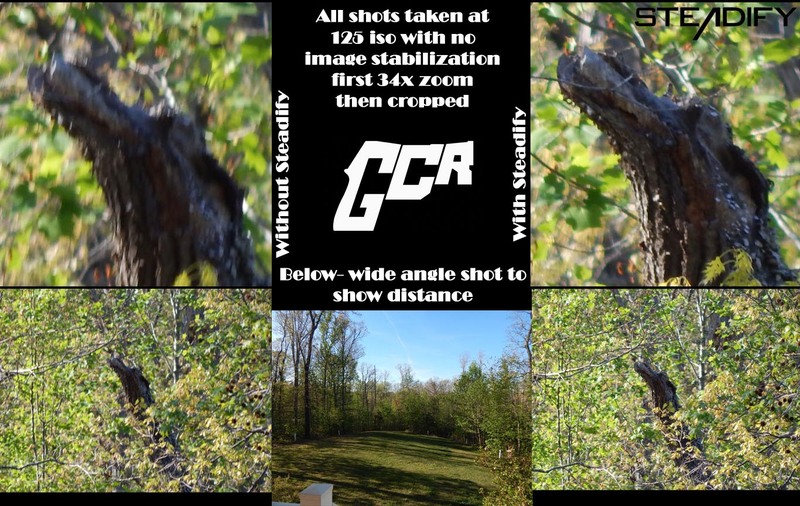 Some choose to use a bipod and hope to rest the gun on a tree stand railing or plan to lay in the dirt for a steady shot. 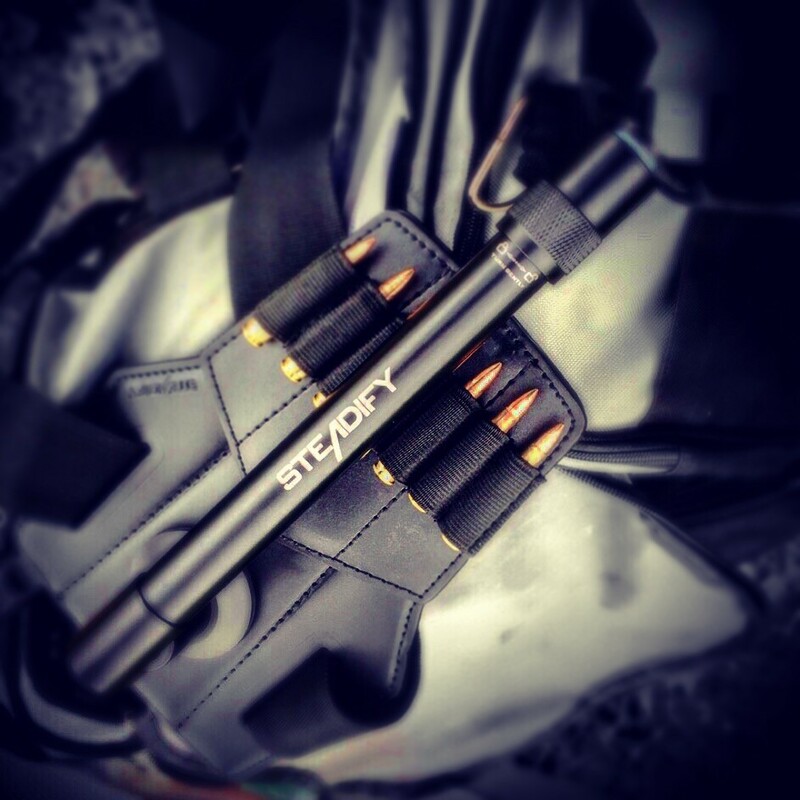 We’ve seen some extending bipods that are housed in the rifle sling. Other’s carry a monopod with a forked top, this practice is common on big game hunts and dates back to the original days of matchlocks. Each method has its own set of drawbacks and each seeks to achieve the same goal of a better, more steady shot. 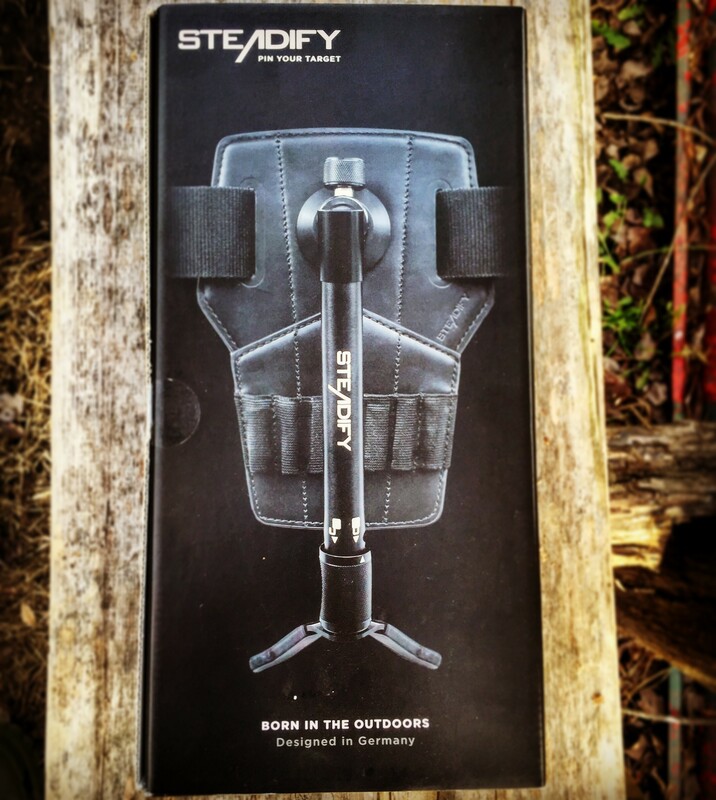 Steadify sought to overcome the same age old issue in a truly unique way; a wearable shooting stick. A sturdy, wide nylon, adjustable belt holds a stiff pad in place against the thigh of the forward leg. Mounted to that pad is a ball joint at the base of a four section extending rod that leads to a rubberized forked cradle on the other side. Both ends have a turning lock mechanism. When you fit the Steadify to yourself (and it will fit you, I am not a small man and it fits me) you will let the shorted rod hang while walking to your destination. Once in place, or at the sight of your prey, you just pivot the stick up at a forward angle, twist the lock on the cradle, raise it into position and lock it back. At that point you have a rest for your rifle. With some practice this maneuver can be done very quickly. In use, I managed to learn a few best practices to that may give you a leg up in the start. Of course, the tighter the Steadify is attached to you the better your result will be. This doesn’t mean the belt has to be cinched to discomfort, rather I mean shifting you leg a little forward will exert some pressure on the pad. The most successful thing I learned; adjust the cradle so your rest is a little higher than you need. 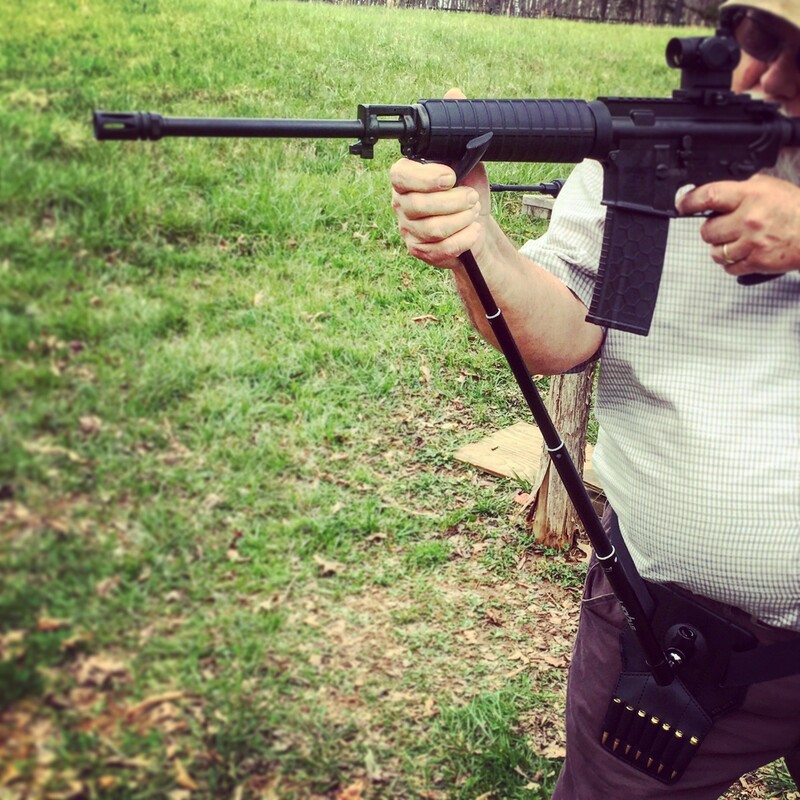 Then when you lay your rifle in the rest, pull the rifle down the same way you pull it into your shoulder. The Steadify won’t give way to the pressure but your thigh will and it will provide a more solid base. The dual pressure dampens the majority of your body’s natural movement and you will find your groups growing tighter and tighter with practice. The proof is in the shooting. 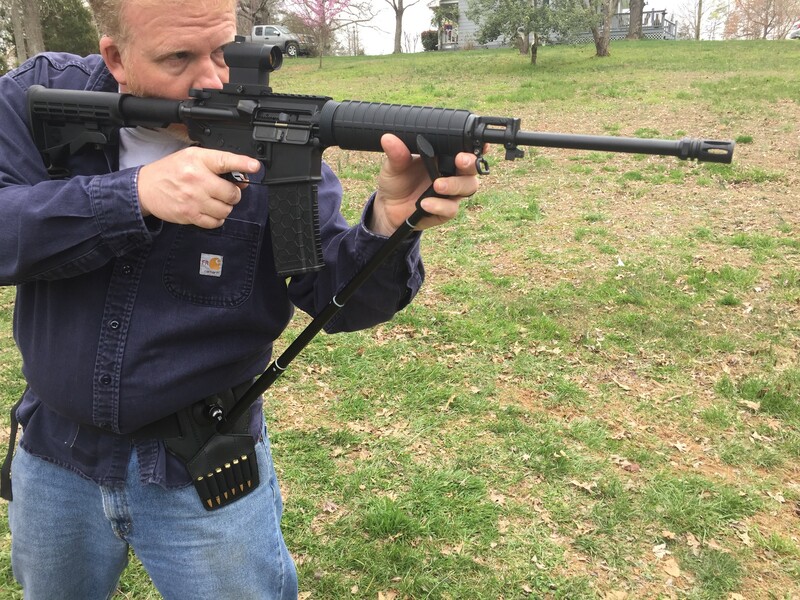 We took 3 rifle shooters of varied skill and had them all shoot 2 groups with the same stock Bushmaster AR-15 QRC (and it’s stock 7.5 lb crunchy trigger). The first of group standing without a rest and the second using Steadify. 2 2.763 inches 1.305 inches 53% better! 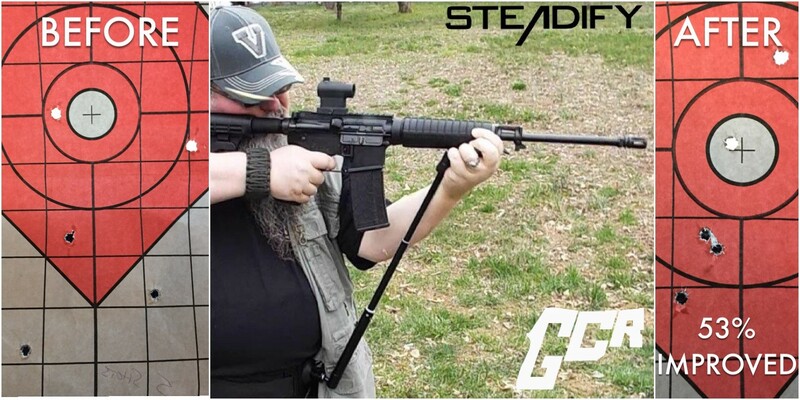 I can’t tell you the Steadify will magically transform you into a Marine scout sniper, but what it will do (with practice) is provide a steady platform from which to shoot without having to carry more gear in your hands. It improves accuracy and lends more effectiveness at range whether you are using a rifle, a camera or binoculars. Interested in buying a Steadify for yourself? It’s available on Amazon.